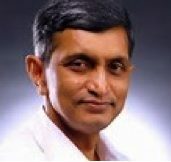 Dr. Jayaprakash Narayan, physician by training and former member of the Indian Administrative Service is the founder of Lok Satta Party,and is also the founder and General Secretary of Foundation for Democratic Reforms, an independent public-policy think-tank and research-resource centre. A former Indian public administrator, well known for his role in electoral reforms and the Right to Information (RTI) act. He has also written columns in Indian newspapers, such as Times of India, The Economic Times, Financial Express, The Hindu and Eenadu, and hosted television shows covering elections and politics such as “Pratidhwani“. Narayana’s experience in the government convinced him that the faulty governance process is the biggest hurdle in India’s path of progress and Indians achieving greater success. What India needs today is a fundamental change in the rules of the game and not a periodic change of players. In order to translate his vision into practical reality, he resigned from the I.A.S in 1996 so that he could work on the grassroots movement for good governance. Narayan talked about the efficacy of reforms in the governance and Economy of Andhra Pradesh among several other issues on various platforms in educational and political institutes. He emphasizes that democracy is for the people, of the people and by the people.